All Season Tires harden up in the winter and lose traction. Every safety feature equipped on your vehicle relies on tire grip and performance. Winter tires are constructed from compounds that retain their flexibility in cold weather below 7 degrees Celsius. In order to move slush, snow and water off the tire as quickly as possible, winter tires have a unidirectional, V-groove tread design to remove slush and water off the tire as quickly as possible. They extend tire life, ensure stability and handling, when installed in sets of four and the alignment checked once a year. Winter tires are now a requirement on some highways around BC. You could face a fine of $120 for having improper tires. Purchase and install a set of winter tires before they are all gone and be sure to ask us about seasonal tire storage. Call today – 604. 738. 3911, or email chad@weissach.com. Fall is the best time of year to have your Porsche serviced. After a warm summer of enjoying your car on the open road, let us take care of your toy for you and ensure your Porsche is ready for the winter months, or all sorted before tucking it away until the spring. We start it all off with a 20-point winter safety inspection, in addition to which we will perform an engine oil change and filter replacement, check your air filter, pollen filter, lights, tires and set pressures, wipers, washers, all fluids, read out fault memories and conduct a road test to assess operability. We’ll finish it all off with a hand-wash and vacuum so that your Porsche will really shine! Email us today to book your appointment. Battery tenders are a must-have for anyone storing their cars through the winter months. Regularly priced at $119.00, they are now on sale at $109.00 installed, while the promotion lasts. 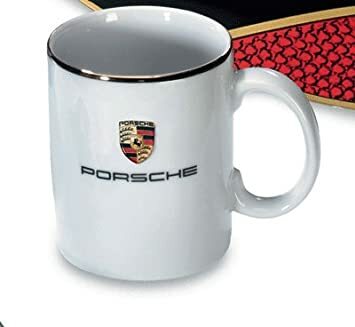 We have lots of great stocking stuffer ideas in our showroom, including lots of branded merchandise for your favorite car fan. Visit us and have a look at what have to offer.